2 days before my 60th birthday party, my lovely Daisy decided on a hearty meal of my party shoes. Posted June 30th, 2014 . 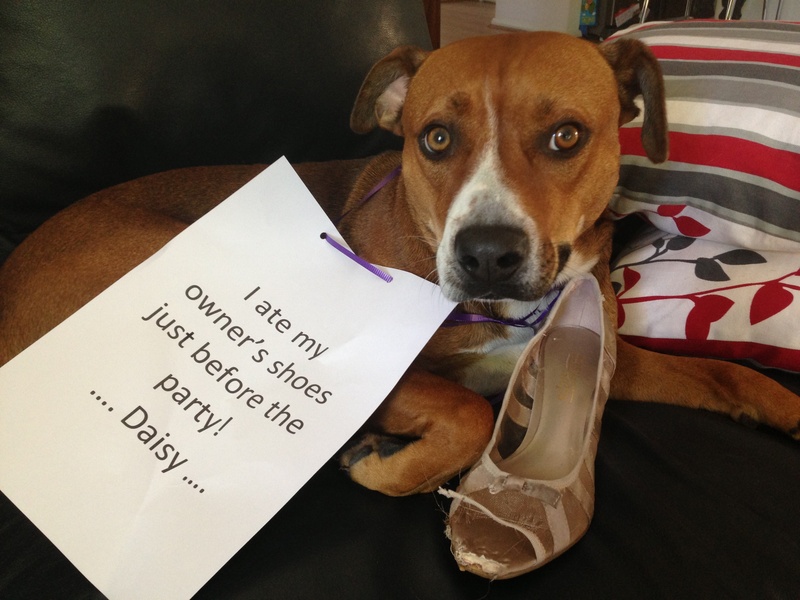 She thinks you would be more comfortable in flats ;o) Daisy is super cute! Happy birthday! She’s telling you to celebrate your birthday by buying new shoes! Those eyes are something serious.